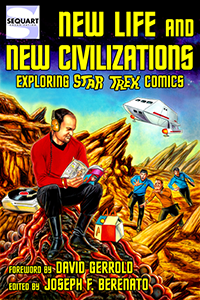 Sketch variant to Star Trek Vol. 5 #19. Tagged Claudia Balboni, Erica Durante, IDW Publishing, Mike Johnson, Roberto Orci, Star Trek, Tim Bradstreet.